Program Length and Structure - Florida Institute of Ultrasound, Inc. The program is 12 months in length, with 48 weeks of instruction. 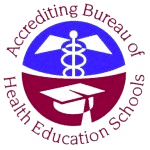 First Three Months – Abdomen, OB/GYN and Physics classroom instruction. Second Three Months – Abdomen and OB/GYN clinical rotation. Next Three Months – Echocardiography and Vascular classroom instruction. Last Three Months – Echocardiography and Vascular clinical rotation. The Florida Institute of Ultrasound, Inc. generally operates on a 42 hour per week cumulative time for didactic and clinical instruction. The classroom hours are 8:00 am to 4:30 pm, Monday through Thursday and 8:00 a.m. to 4:00 p.m. Friday. Clinical hours vary from site to site. Most clinical sites operate from 7:30 a.m. to 4:30 p.m., Monday through Friday.